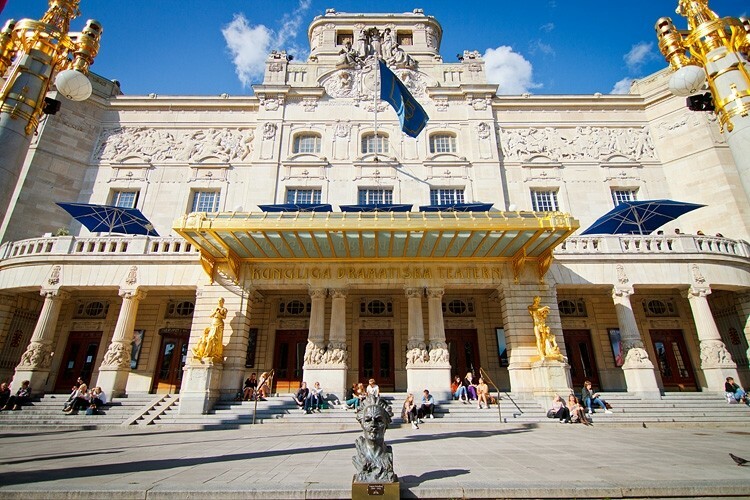 Welcome to the restaurants of Dramaten! In the restaurants of Dramaten you find popular Frippe’s restaurant at Nybrogatan 6, behind Dramaten. Café Pauli and Dramatenterrassen located on the first floor above the main entrance of Dramaten. Dramatenterrassen is the perfect place for lunch, dinner or cocktails during summertime. The terrace has a stunning view over Nybroviken and Strandvägen. We also have Marmofoajén and Målarsalen where you can enjoy a glass of wine or snack during the pause of the performances. If you would like to host an event we have different options for companies or groups. Please contact us for more information.